What really shocks me is that most people or even experienced athletes are not sure of how to manage a sprained ankle. 1. Rest means not to move the injured area anymore. Any further movement can traumatize the injury even further. It also means that the person may need the help of crutches or wheelchair during the initial phase of the injury. Otherwise, try to rest in bed or be seated as much as possible. 2. Ice means ice treatment for the first 2 days. The first 2 days of injury is the most important. 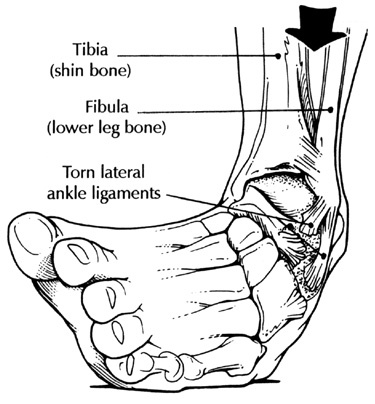 The sprain cause microscopic tear (internal bleeding) to the soft tissue. Icing means clotting the internal bleeding very quickly, before the area starts to swell even further. Technique: Use a cold pack or a plastic bag of ice cubes. Wrap it with a towel, and place it over the injured area. Duration about 15-20 mins, 3-4 times spread out throughout the day. ICE are commonly used for: sprain, strain, muscle tear, bleeding, bruises. HEAT are usually used during: Cramps, muscle stiffness, arthritis, rheumatism. 3. Compression means to have the injured area properly bandaged. Giving a good pressure on the injured area helps to keep the tissue in place. It also helps to clot the bleeding and speed up the recovery process. 4. Elevation is to have the injured area placed above the heart position. For ankle injuries, lie down on your back and face up. 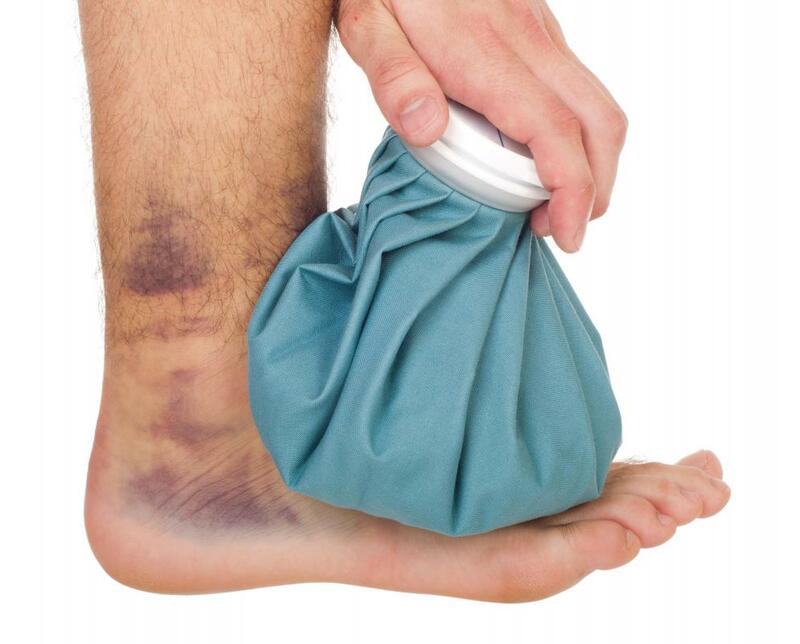 Rest the ankle on top of a pillow or rolled blanket. This will help to ease blood circulation back to the heart, and thus reduce workload on the injured area. A good management of injury following the above protocol will definitely speed up ankle injury much faster, and put you back into your sports at the fastest time possible. This entry was posted in Injury Management and tagged ankle injury, injury management, pain, RICE, sprain, swelling. Bookmark the permalink.